It was one year ago today that a massive earthquake registering 7.8 on the Richter scale rocked the mountainous country of Nepal, killing more than 8,000 people and injuring another 21,000. It also damaged or destroyed more than 800,000 homes. The village of Trishuli, about 30 miles from the quake’s epicenter, was as hard-hit as anywhere in the country with houses in ruins — except for the 12 Fuller Center homes that had been built there before the quake. Those dozen homes were unscathed. 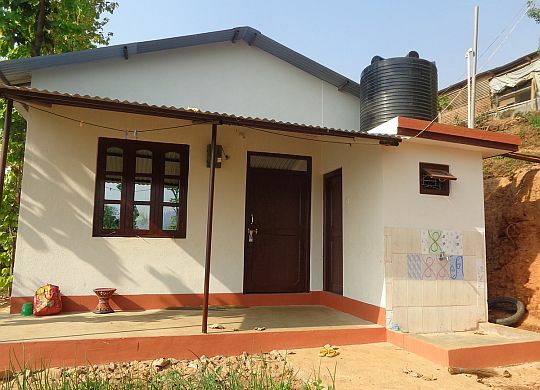 Because of that success, The Fuller Center for Housing felt compelled to not only ramp up its work in Trishuli but also to share the safe-building techniques that proved crucial to protecting its partner families in the region. A mason learns safe building techniques from The Fuller Center in Nepal. The Fuller Center embarked upon a campaign to raise funds for another 200 homes. The march toward 200, though, has been slowed by obstacles, both foreseen and unforeseen. The anticipated monsoon season hit shortly after the quake, putting off major construction. But a major hurdle unexpectedly appeared when a blockade along the border with India massively slowed imports of fuel and building materials into the country. Desperately needed nonprofit work in the country slowed to a crawl. The Carter Work Project planned for November had to be canceled for the first time in 32 years. 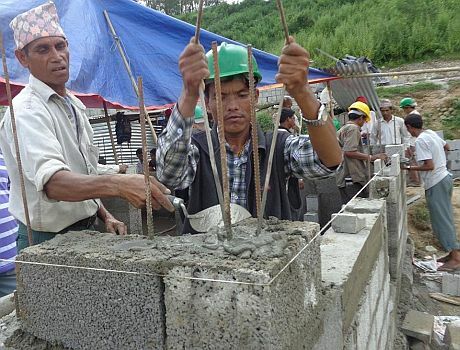 Despite the hurdles, The Fuller Center built 15 new homes in Trishuli and trained dozens of masons in safe-building techniques. Unfortunately, the tragic events in Nepal did not spur the kind of outpouring of donations that was seen in the aftermath of the 2010 earthquake. With Nepal no longer in the spotlight, raising funds for the families in need has proven difficult. The blockade that brought the country to a virtual standstill may have eased, but funding remains a major hurdle. The Fuller Center still plans 200 new, safe homes in Trishuli if the funds can be secured. 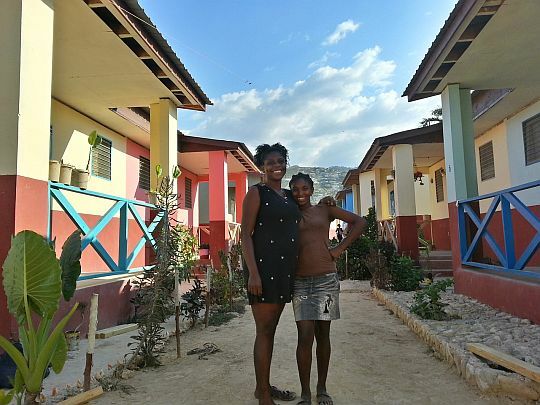 The Fuller Center’s 180 permanent, safe homes in Haiti include the example-setting 56-home Lambi Village of colorful duplexes. In the years following the Haiti earthquake, numerous reports emerged alleging misuse of funds by various organizations. While that may have contributed to slower donations for Nepal, The Fuller Center’s success in Haiti — where The Fuller Center has built 180 permanent homes since the earthquake with a tiny fraction of funds other organizations received — gives Fuller Center President David Snell hope that people will want to replicate that grass-roots efficiency in Nepal. The United Church of Christ has been The Fuller Center’s main supporter in Nepal with a plan to help fund 50 homes. The two main reasons for the UCC’s support are that The Fuller Center already had an established presence on the ground in Nepal and that they repeatedly funded Fuller Center homes in Haiti and saw that their donors’ funds were properly used. Sixty-year-old Sirku Tamang (bottom right) lost his family’s home in the April 25, 2015 earthquake that struck Nepal. Now, he lives in a new Fuller Center home with his wife, 20-year-old daughter, two teenage sons and two granddaughters.